We all make mistakes. However, some mistakes can impact us more than others. When you make mistakes with your retirement planning process, you could put your entire future at risk. As you save for retirement, here are Five planning mistakes to avoid. Remember back when the rule of thumb was that you could expect 10% annual returns from your investments? Looking at the rule now, it seems a little excessive. When you overestimate your returns, invest too little and you feel complacent about your situation. 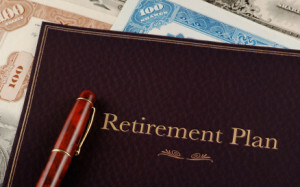 Unfortunately, that often means that you won’t reach your retirement goals. When you plug your information into a calculator, trying to figure out how much to save in order to reach your desired nest egg, don’t overestimate your returns. Figure a much more conservative rate of return, between 5% and 7%, for stocks. It means you have to set more money aside for retirement now, but your future self will thank you. Over time, your retirement account asset allocation should shift. You might also make tweaks depending on changing fundamentals, and shifting goals. What you don’t want to do is make changes to your plan based on fear. Many investors had a knee-jerk reaction to the financial crisis a few years ago. It led to them selling their stocks while the market was low, and then being reluctant to get back until prices had already risen. That’s a recipe for overall losses. There are good reasons to sell investments and change your asset allocation. Sheer bloody panic isn’t one of them. Before you make changes to your retirement plan, ask yourself why you want to change things up. If you can’t come up with reasons based in fundamental analysis, consider sticking to your plan. Too often, we forget to plan for the impact of inflation on future finances. Inflation erodes your purchasing power, and reduces your real returns. If you see a 6% annual return on your portfolio, but inflation is at 2.5%, your real return is actually only 3.5% — and that doesn’t take into account the way fees and taxes eat into your real returns. Don’t forget to plan for inflation as you invest for retirement. Rising prices are going to be a reality over time, and you need to include that fact in your retirement planning. While it would be nice if taxes stayed the same, chances are that they will rise in the future. Even if you have a lower income during retirement, you could very well have higher taxes, depending on the way things play out. As you create your retirement plan, consider the impact of taxes. In the United States, many investors choose a Roth IRA or a Roth 401(k) to help them avoid future taxes. In Canada, the TFSA is a great, flexible vehicle for saving for the future. You might pay taxes on the money now, but you avoid taxes on the earnings later. Consider how each type of asset’s earnings are taxed, and how that might impact you later on. And plan to pay more in taxes than you expect. One of my most-hated rules of thumb is the one that tells you to assume that you will only need 75% to 80% of your current income in retirement. This assumption indicates that you will have lower expenses in retirement, but this might not be the case. Yes, you might pay off debt and have fewer of those types of obligations. However, you might also have higher expenses in other areas. If you want to travel a lot, your expenses are likely to rise. Expensive hobbies can also boost your costs. And don’t forget health care costs. Even in Canada, there is a good chance that you will have to pay some of your health care costs as you age. In the United States, it’s practically a given that your retirement nest egg is going to have to be prepared to withstand some seriously increasing health care costs. Don’t assume that you will be spending a lot less in retirement unless you plan to be uber-frugal. What are some retirement planning mistakes you see others make? I agree. Plans have such value. They really help you set out what actions you need to take. That’s so true. You do need to look ahead, and figure out what is likely to happen, if you want to succeed at anything related to finances. If your house is paid for, that should be one less item in retirement, but with inflation your should still spend about the same, plus money to help your kids out if they need, gifts to the grandkids, etc. I don’t think expenses drop. I agree. I don’t think expenses drop either. People say they will but with things like you mentioned you have to be prepared. Fear is one big obstacle when making plans, but it is also part of our nature to be cautious when money is concern especially retirement plans, but we can fight fear by learning more about our investment and having back up plans. Agreed. If we gather information about what we need to do, the whole process of planning is a lot less overwhelming. It is when we are in the dark and have no idea where to start that things get tough. It really does help to know what you are investing in, as Warren Buffett famously said. And that knowledge can keep us from making decisions based in fear. Those are the worst kind of decisions. I think one of the biggest mistakes is not starting your retirement planning as soon as you start working by participating in your 401K and investing in your IRA. Very true. So many of us start later than we should with saving and planning. You really can get ahead of the game by starting to save as soon as you start working. Planning for retirement is tricky at best. Initially, it may look like expenses drop, but…then medical bills start piling up. All data seems to confirm that old people don’t spend less – they just spend on different things (this is why we have factored care in our calculations and calculator). I would agree. Expenses just change,they don’t decrease, especially if you aren’t healthy in your later years. In the 10 years leading up to my parents retirement my mom would constantly be moving funds around with the ups and downs of the stock market. Drove me nuts. As you said, stick with the plan and as you move towards retirement move things to more stable funds, but selling due to fear of the market going lower on a consistent basis didn’t do them a bit of good. I agree. We can’t make emotional decisions when it comes to investing. We have to be pragmatic and practical. Having a plan helps us avoid making those haste decisions. No one knows what the future holds, so we wont really know what our situation will be in retirement. With that said though, its pertinent to start planning for it. I’d adopt a more worst case scenario attitude in regards to spending so as to not leave yourself unprepared. I think we should all plan on the worst case scenario for everything in life. You can’t be too prepared, just underprepared.